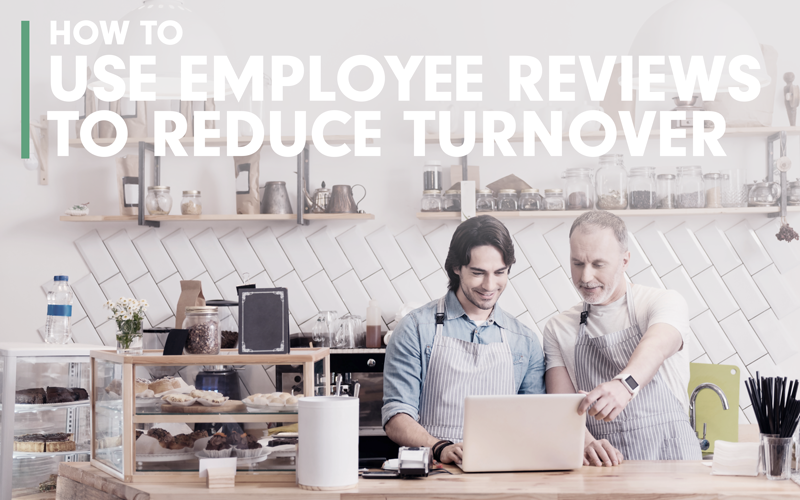 It’s no secret that employee turnover and employee reviews stir heated conversations among retail and restaurant executives, but did you know that employee reviews can be a key factor in reducing turnover? It’s true. And yet we continue to hear these common excuses. While there are circumstances where turnover will occur, a more prominent truth is employees quit managers and bad companies. It’s also no coincidence that companies and managers who think the frequency of employee turnover is just a part of doing business are the same ones who think employee reviews are a waste of time. The tips below show how to improve the employee review process and help it become a tool to solve the relentless struggle with employee turnover. Communication. Chance to communicate and discuss roles, responsibilities and expectations – employees and managers alike need to know what is expected, what success looks like, and how they’ll be evaluated. Shows You Care. Employees need to feel understood, get feedback and feel personal growth. This is also a chance to get to really know who your employees are beyond the tasks. Be a Mentor vs Boss. Managers get a chance to coach and assist on a personal level. The employee review isn’t about finding fault, but how both the manager and employee can be better going forward. Find successful traits. Employee reviews are a great time to identify the key traits your employees exhibit and associate those traits with the job or position of the employee. Productivity Increase. When the aforementioned benefits happen, this leads to more productive employees and in turn, more productive teams. That’s a good thing! Company culture is built and reinforced. Culture isn’t just a mission statement or sign hanging in the break room. It’s about action, and how you and your employees feel about coming to work each day. If your current employee reviews are not bringing these benefits then you are doing it wrong. Perform consistent employee reviews focused on key traits. Identify your top performers based on employee review scores. Identify the key traits of the top performers. Use the key traits to hire, train and set goals. High-quality employee reviews are a core part creating a team of top performers. By scoring each employee consistently you can compare and rank employees by performance. Once you know who your top performing employees are, you can then look for common traits among them. This helps you get a clearer picture of what traits you should look for in a new hire and what traits to focus on when you are training. In order to do all of this, employee reviews must be done frequently and consistently. That’s why it’s important to keep the process simple and repeatable. Solving the problem of turnover in retail and restaurant businesses is not a quick fix. It’s also not impossible to solve. In order to find top employees, you need to know what top employees look like–how they act and behave. When you know this, then you can hire more effectively, your managers will mentor your employees, your employees will know they are cared for and they in turn care about their work. Yes, employees will still come and go, but they will stick around longer and it won’t be about a poor manager or company experience. In fact they may refer their friends! Leave us a comment below about your employee review experiences…and be sure to download our FREE employee review template and start reducing turnover today!